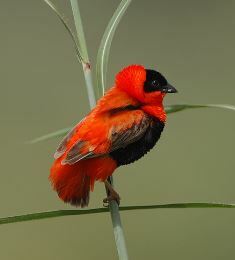 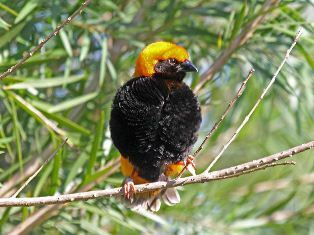 There are 5 bishops where the males in breeding plumage are red and black. 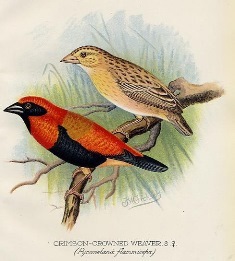 The table below shows some plumage differences in the breeding males. 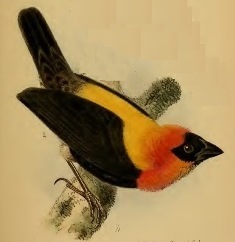 The species are ordered by average wing size of males (Southern Red Bishop and Black Bishop populations vary in size geographically).